Having become the winner one day, Ruslana becomes new every day – that’s why she exceeds the bounds of a usual contest. Strictly speaking, such things should happen to each person, but for some reason they do not happen. As for Ruslana, she moves forward, she passes one step ahead of her shadow, which means that she proposes a new quality. This time she presents mixes. They are made not to be broadcast on the radio once or twice, and then to be forgotten. Their quality is meant for clubs, at that, for good clubs, and one may easily feel that. It is possible to say that di-djeys from four countries made no vain efforts. In any case, even for me who is not, to put it mildly, a club-house person this album seems to be interesting. It is true that here the rhythms are harder than usually. Still, Ruslana is renowned not for them, but for her furious energy – and it is not obligatory to go to clubs in order to feel exertion, energy and explosiveness of this music. 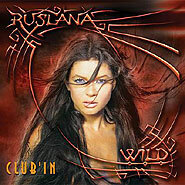 I don’t know how Ruslana and her friends managed to do this, but most of the mixes recorded at this disc sound no less energetically than her alive performance. Nevertheless, it is different, but all the same – interesting.